Don’t you think she is beautiful? Momo-chan, our garden princess, has descended from Mei-Shun’s grandmother on her mother’s side. She looks like dancing in full bloom. 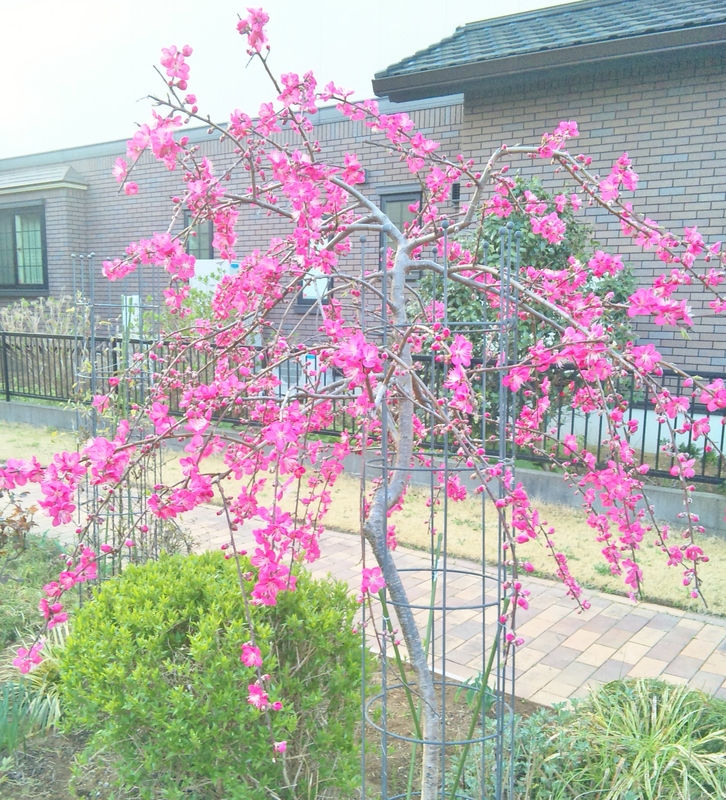 Her bright pink color is admired by everyone. Yes, for just a week in the middle of spring.